Although a collective groan is often heard when the words “copyright” and “authors’ rights” are uttered, there are effective strategies you can use to engage faculty and students in these important topics. Several are illustrated by the library’s outreach program at Utah State University (USU), whose success began with their decision to make copyright education a campus-wide initiative and resulted in some unexpected benefits. Librarians Betty Rozum and Jennifer Duncan of USU told their story in a recent bepress webinar designed to share best practices, entitled “Navigating the World of Copyright and Permissions, Part I: Authors’ Rights Initiatives.” They discussed how USU Library’s outreach program created a diverse team of copyright experts with members from areas such as the University Press, student government, IT Security, and the bookstore. Their approach included creating easily accessible copyright resources and taking their show on the road instead of waiting for faculty to come to them, offering one presentation on fair use and another on authors’ rights. 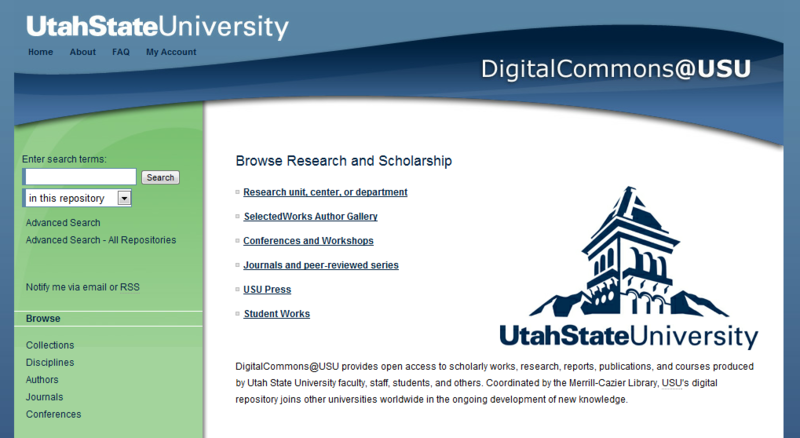 One thing they didn’t expect, though, was an increase in the number of faculty wanting to submit work to their IR, DigitalCommons@USU. It turns out that their authors’ rights presentation gave them an opportunity to offer their services in checking rights and, as a result, to help provide safe, legal posting of faculty members’ works. This approach of engaging faculty in a topic of interest to them (their rights) proved an excellent vehicle for promoting their IR and their services. For more on copyright and authors’ rights, see the Copyright Resources section of our site or watch the second Navigating the World of Copyright and Permissions webinar, “Part II: Rights Checking Workflows,” where Marisa Ramirez and Michele Wyngard of Cal Poly discuss their workflows.